Home » Oracle Apps DBA • Oracle DBA • Oracle Fusion DBA » Virtual Cloud Network Remote peering in OCI !! In today’s post will see regarding VCN Remote peering. 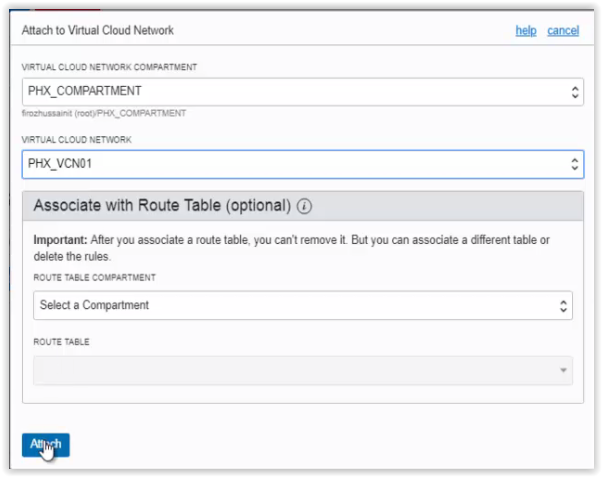 What is VCN Remote peering? Remote VCN peering is the process of connecting two VCNs in different regions (but the same tenancy ). The peering allows the VCNs’ resources to communicate using private IP addresses without routing the traffic over the internet or through your on-premises network. Without peering, a given VCN would need an internet gateway and public IP addresses for the instances that need to communicate with another VCN in a different region. I subscirbed to Regions ASHBURN and PHOENIX as shown in the below screenshots. 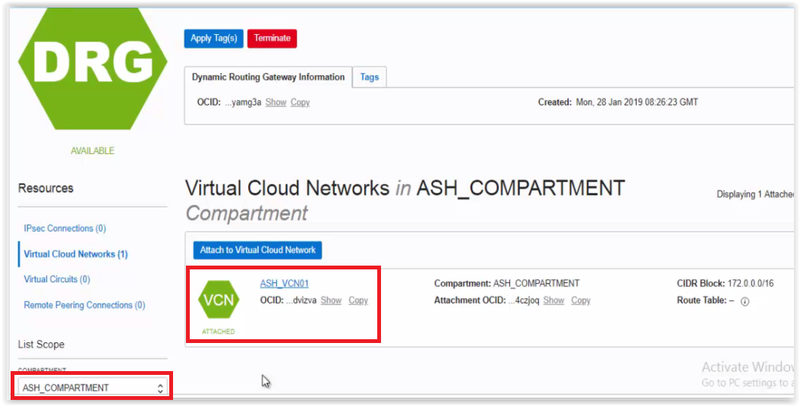 Create ASH_VCN01 with CIDR 172.0.0.0/16 in the ASH_COMPARTMENT. Create ASH_IGW01 Internet Gatway and add to the route table of the ASH_VCN01. Provision the instance ASH-A-INST01 (of image OEL 7.6) using ASH_VCN01 and subnet ASH_SUBNET_A. Attach the ASH_VCN01 to ASH_DRG01 as it’s a stand alone entity. 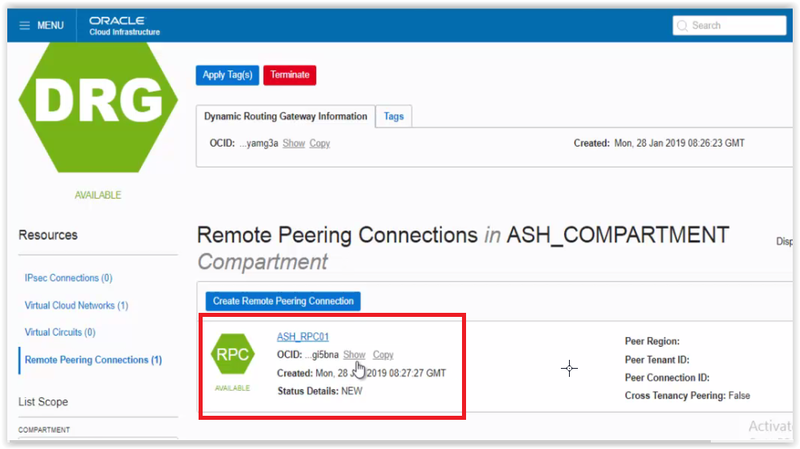 Create Remote Peering connectivity as ASH_RPC01 and copy the OCID of the same, which require to establish the connection with other region RPC. Create PHX_VCN01 with CIDR 192.168.0.0/16 in the PHX_COMPARTMENT. 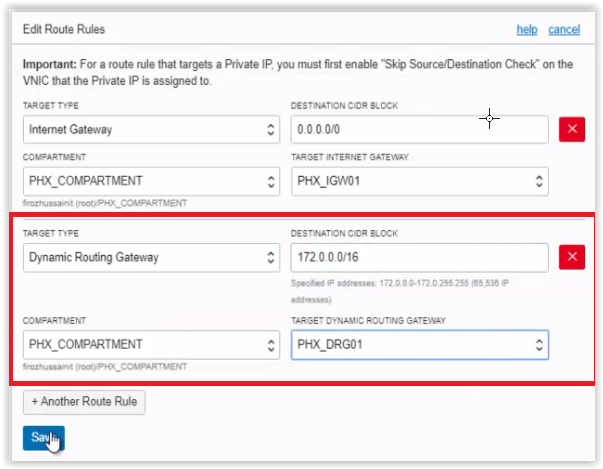 Create PHX_IGW01 Internet Gateway and add to the route table of the PHX_VCN01. 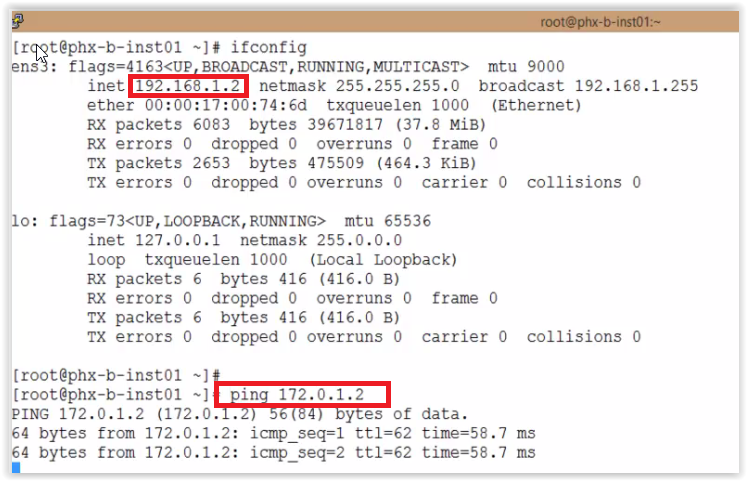 Provision the instance PHX-B-INST01 (of image OEL 7.6) using PHX_VCN01 and subnet PHX_SUBNET_A. Attach the PHX_VCN01 to PHX_DRG01 as it’s a stand alone entity. 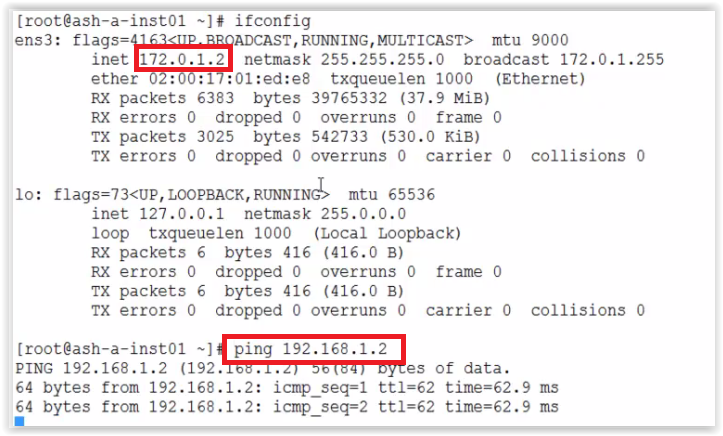 Create Remote Peering connectivity as PHX_RPC01. 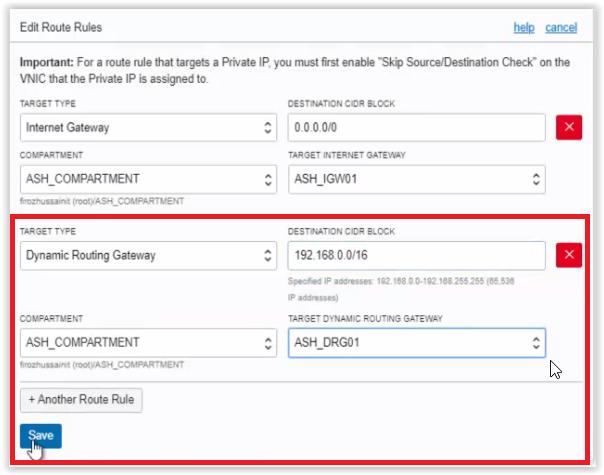 Now click on the PHX_RPC01 and click on Establish connection and given the details of Region and OCID of the RPC of other which should have to be peered. 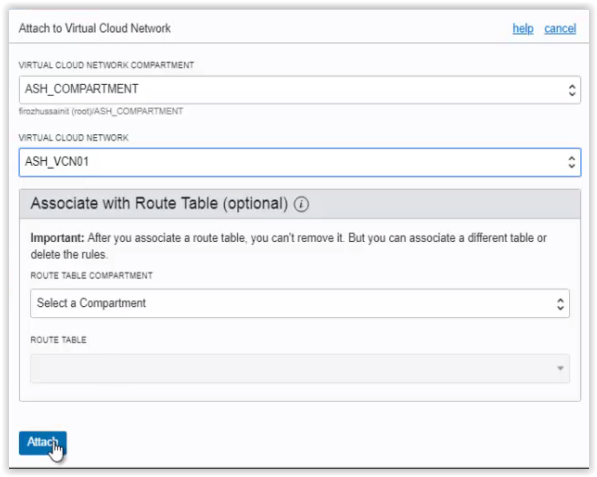 Now, add the Dynamic Route Gateway rule in Route table of the speicfic region VCN’s. And add the specific rules to security lists of the specific region VCN’s. 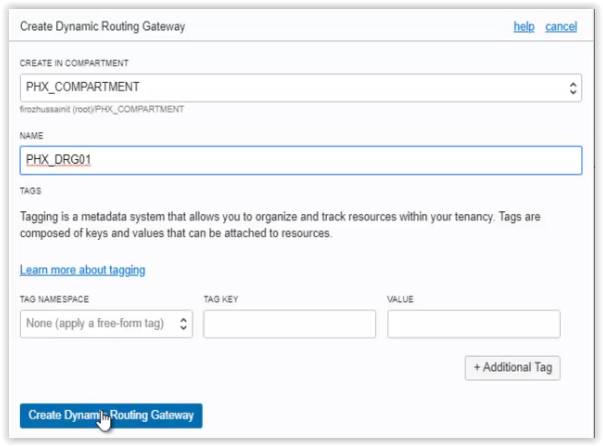 In this specific post we will concnetrate on Dynamic Route Gateway and Remote peering connectivity. By changing the region to ASHBURN, create the compartment, VCN and all other stuff as specified in above points. PHX_DRG01 dynamic route gateway created successfully. Attach the VCN to the created DRG. VCN attached successfully to the DRG in phoenix region. Create Remote peering connection in phoenix region. Copy the OCID of the RPC created in phoenix region, which we give in the RPC of ashburn region to establish the connection. 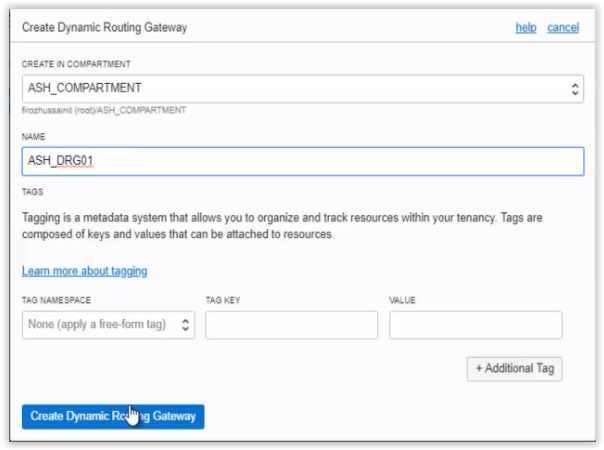 Create Dynamic Route Gateway in Ashburn region. DRG created successfully in Ashburn region. 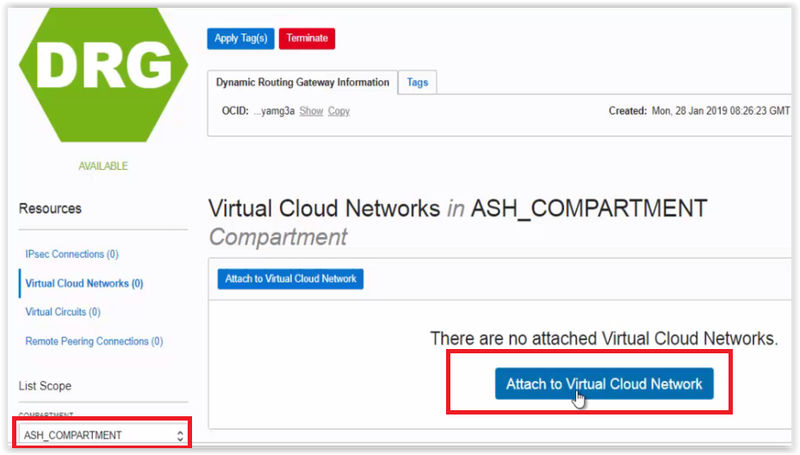 Attach the VCN of Ashburn region to DRG of the same region. VCN attached successfully to the DRG in Ashburn region. 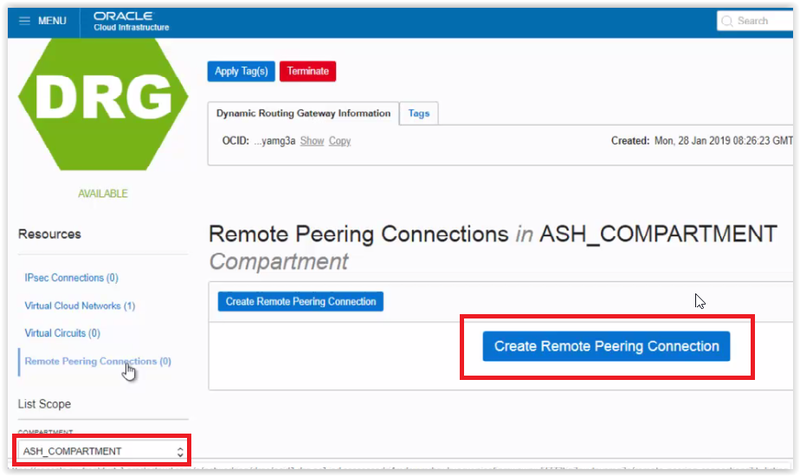 Create Remote Peering Connection in Ashburn region. RPC created successfully in Ashburn region. 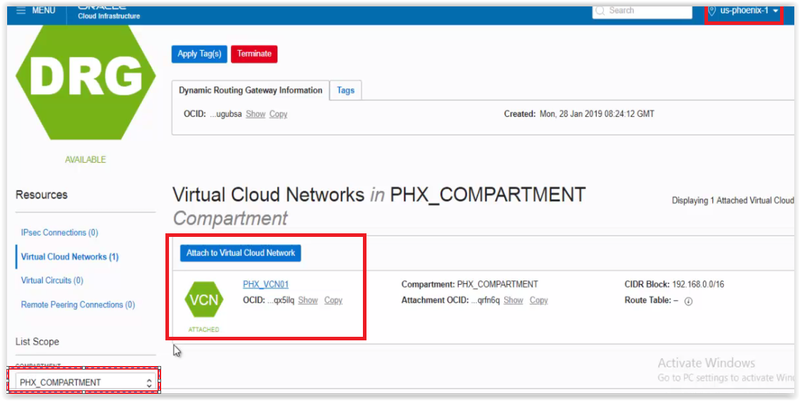 Now, click on the RPC created and click on Establish Connection, give the phoenix region and the OCID of the RPC which is in phoenix region. Connection established and the status showing as PEERED in both the regions. Now, check the connectivity from the instances, it should have to communicate successfully.